With more features, more leading-edge technology and a major injection of Acura DNA, the 2016 ILX goes on sale today as the Acura gateway sports sedan with the performance, technology and style desired by younger luxury buyers. Starting with a manufacturer’s suggested retail price (MSRP)1 of $27,900, the 2016 Acura ILX boasts more power, improved handling, more luxurious appointments and more youthful, sporty styling. 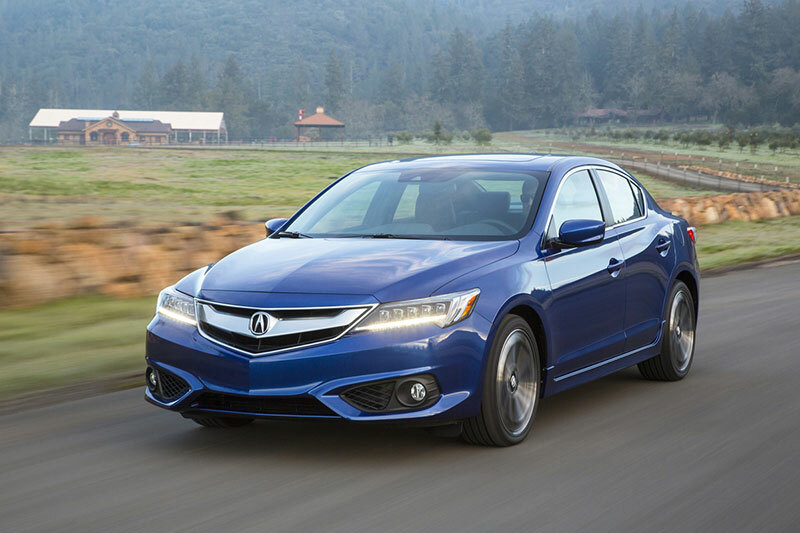 The 2016 ILX also expands customer choice with three main grades – the standard ILX, the ILX with Premium Package, and the line-topping ILX Tech Plus Package, supplemented by the addition of the all-new AcuraWatch™ Plus and A-SPEC Packages. The Acura ILX captures a higher percentage of young luxury buyers, under age 35, than any other vehicle in this growing entry-luxury sedan segment2. The enhancements made to the 2016 model are designed to make the ILX even more attractive to upwardly mobile younger buyers looking for upmarket quality and performance. View, build and price a 2016 Acura ILX at www.acura.com. 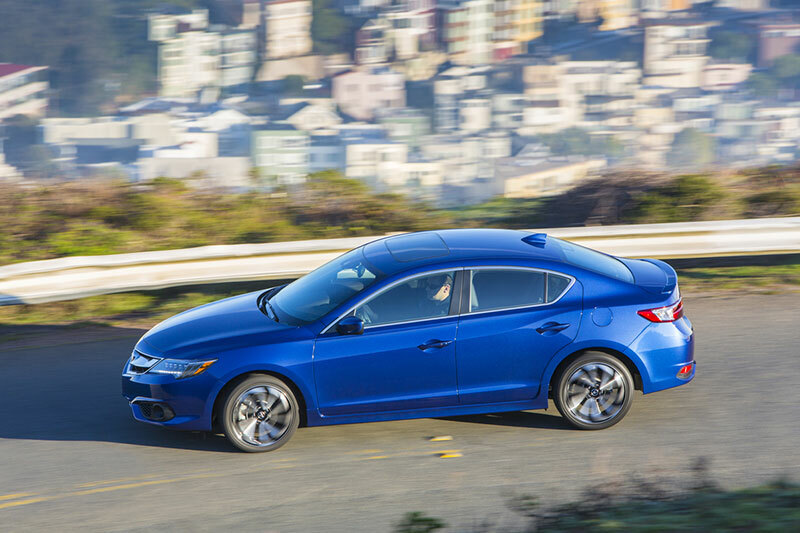 The ILX’s new 2.4-liter, 16-valve, direct-injected DOHC i-VTEC engine produces peak output of 201 horsepower at 6,800 rpm and 180 lb.-ft. of torque at 3,600 rpm, up 51 horsepower and 40 lb.-ft. compared to the outgoing 2.0-liter engine. The new engine is mated to a new 8-speed dual clutch transmission (8DCT) with torque converter and paddle-controlled Sequential Sport Shift. The new 8DCT is the most advanced transmission in its competitive set, delivering incredibly quick, crisp and intuitive gear changes, including rev-matching down shifts, to achieve outstanding response and sporting performance with top-class fuel efficiency, with an EPA rating of 25/36/29 mpg city/hwy/combined3. To make the most of its high performance new powertrain, steering responsiveness and linearity are improved via a retuned suspension and a number of chassis design enhancements. 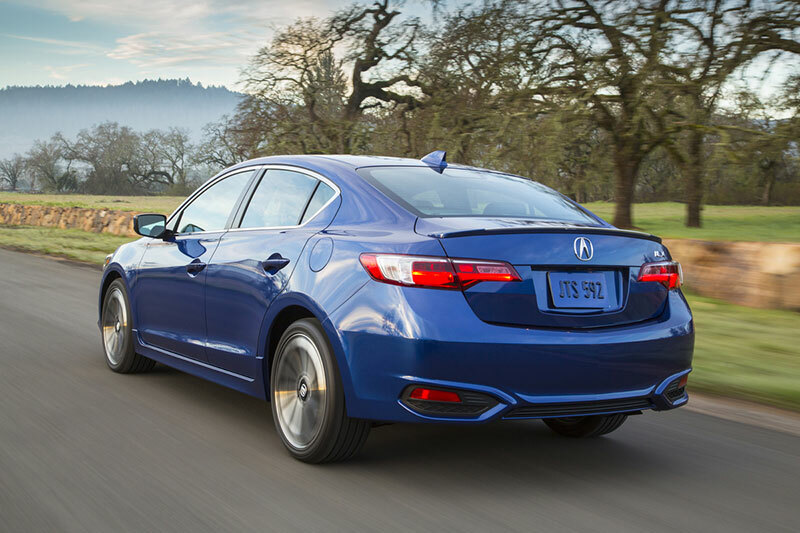 With these changes the 2016 ILX delivers an athletic, confident and balanced driving performance. With form following function, the reborn ILX sports a bolder, more distinctive front end highlighted by piercing Jewel Eye™ LED headlights, a new grille design, and more aggressive lower fascia; a restyled rear end offers new LED combination lights and lower fascia enhancements; and new 10-spoke 17-inch aluminum alloy wheels. The available ILX A-SPEC Package enhances the performance look even more by adding sporty side sill garnishes, a trunk spoiler, front fog lights, new 18-inch 10-spoke machined alloy wheels, and several unique interior appearance touches. Inside, the 2016 ILX is luxury-quiet, benefitting from additional noise-insulating materials, thicker front door glass, noise-attenuating wheels, and the adoption of Active Noise Control technology. Interior refinement continues with styling enhancements such as upgraded materials, contrasting Euro-style stitching on the steering wheel, parking-brake handle and shift knob, as well as new high-intensity silver trim for the instrument panel and other areas. The A-SPEC package enhances the exceptional cabin appeal and appointments with an exclusive Premium Black interior color scheme including a black headliner, perforated black Lux Suede® seat inserts, red instrument illumination, exclusive gray interior stitching and aluminum brake and throttle pedals. Adding luxury appointments to the sporty interior, the 2016 ILX offers an abundance of standard and available high-end features and technologies, including heated front seats, Bluetooth® HandsFreeLink®, Smart Entry/Push-Button Start keyless access system, one-touch turn signals, GPS-linked automatic climate control and LED accent lighting. A 7-inch On Demand Multi-Use Display™ (ODMD) touch screen (Premium and Tech Plus grades), located on the instrument-panel center stack, controls these and other features, and features contextual menus, displaying relevant items while minimizing instrument-panel clutter. The evolved touch-screen connectivity and media system receives more than 50 design changes to enhance intuitive operation and functionality. The ILX Tech Plus also features the next generation of AcuraLink®, Acura’s cloud-based connected-car system, offering Acura owners a broad range of cloud-based and embedded convenience, connectivity and available security features. Siri™ Eyes Free is standard on Premium and higher grades. And Tech Plus grades can be equipped with the Acura Navigation System with 3D view, featuring and AcuraLink Real-Time Traffic™ with Traffic Rerouting. The Tech Plus grade with AcuraWatch™ and embedded Acura Navigation adds a color Multi-information Display (MID) between the tachometer and speedometer and Acura/ELS Studio® premium audio system along with the latest generation of AcuraLink connected-car technology. Also available for the first time (on the Premium Package) is a new tethered navigation system powered by the user’s compatible iPhone and data plan via the AcuraLink navigation app. Premium models also get enhanced audio options, including SiruisXM® radio, HD Radio™, Pandora® and Aha™ integration, and HDMI connectivity. The 2016 ILX is newly available with the AcuraWatch™ suite of advanced safety and driver-assistive technologies, the most advanced system of its kind in the competitive set. AcuraWatch™ includes Adaptive Cruise Control, Lane Keeping Assist System, a Multi-View Rear Camera with Dynamic Guidelines, as well as Road Departure Mitigation and a Collision Mitigation Braking System™ (including Forward Collision Warning) with sensor fusion technology that enables new capabilities, including pedestrian sensing. AcuraWatch™ is standard on the Tech Plus Package and optional on the standard ILX. Premium and Tech Plus grades also get Acura’s blind spot information and Cross Traffic Monitor feature. The ILX is equipped with Acura’s next-generation Advanced Compatibility Engineering™ (ACE™) body structure and is designed to achieve top safety ratings – a 5-Star Overall Vehicle Score from the National Highway Traffic Safety Administration (NHTSA) and a TOP SAFETY PICK+ rating from the Insurance Institute for Highway Safety (IIHS), including a GOOD rating in the IIHS’ small-overlap frontal collision test. Additional standard safety and driver-assistive features include Vehicle Stability Assist (VSA) with traction control, an Expanded View Driver’s Mirror, dual-stage, multiple-threshold front airbags, driver and front passenger SmartVent™ side airbags, side curtain airbags, a Tire Pressure Monitoring System (TPMS), and pedestrian injury-mitigation design features.